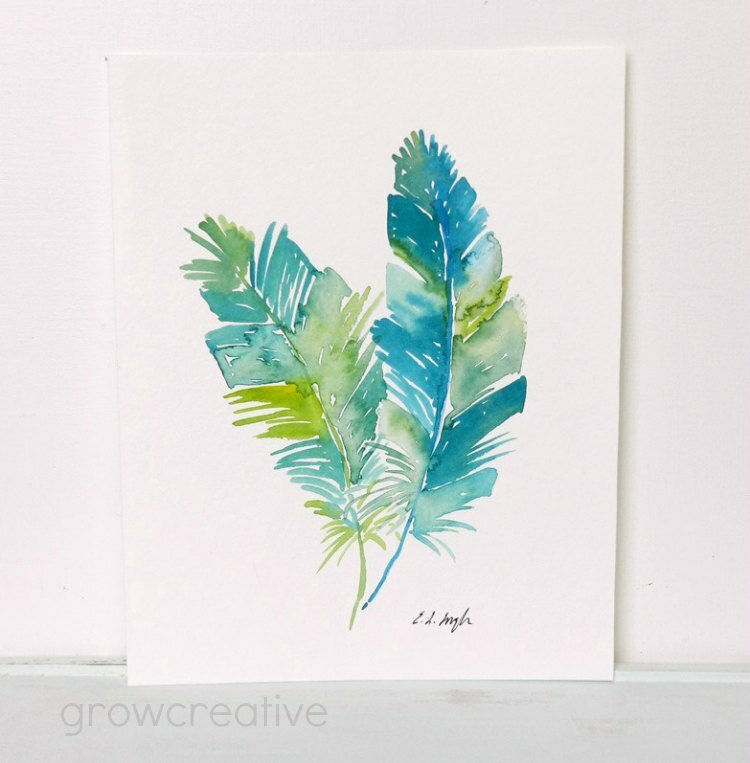 I've done feathers, hearts, and elephants before........ pa-lenty of elephants, but there's something fun about finding a new way to paint them. So many many possibilities. The purple heart was a custom request. I like doing custom work when the subject is something I already love! 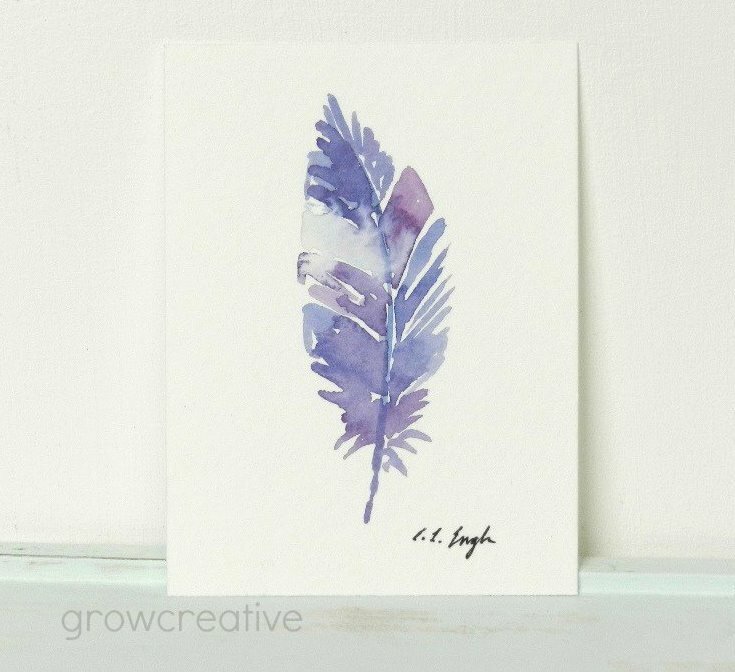 And this purple feather watercolor is the smallest painting in my shop. 3x4 inches, so very very tiny. I LOVE the tiny feather! Something about putting anything on a tiny scale makes is instantly a little treasure! :) Beautiful work! Thanks, I agree. Tiny paintings are precious. Feathers are really beautiful - so light! I also enjoy colorful hearts! They're all stunning! My husband would go bonkers for the elephant, he's a junkie!